O.F.H.C. _Gold Cup Electric Electromagnetic Wire Co., Ltd.
Gold Cup Electric Electromagnet Wires Co. Ltd. Chooses superior quality copper cathode with the copper content≥99.99%(GB/T3952), using advanced foreign Continuous Casting technology to produce Oxygen Free Copper Rods. All process including welding, reduction, cooling and molding is under strict supervision. Gold Cup Electric Electromagnet Wires’ copper rods electrical and thermal conductivity is excellent, low air permeability, process ability, welding, anti-corrosion and cold resistance performance are good. 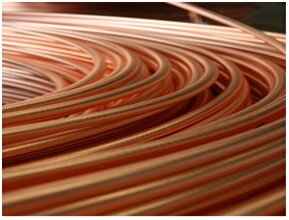 The copper rods surface is smooth, continuous, without gaps and without cracks. They can be used directly without acid pickling and polishing.